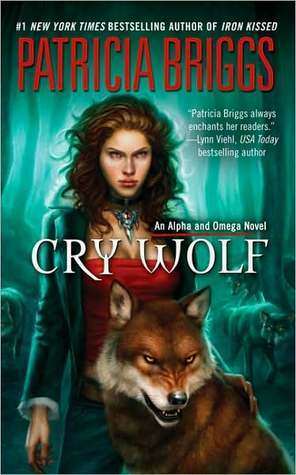 Patricia Briggs doesn’t miss a beat, picking up this first novel in the Alpha and Omega series right where the novella left off. Anna has agreed to leave her life in Chicago and return to Montana with Charles and his father, Bran. Even though she has only known him for a day or so, Anna’s wolf is ready accept Charles as her mate, even if her human side still has fears. Charles is still recovering from the injuries he sustained in the last story… wounds that plague him throughout the book. But he is far more concerned with how cement a bond with Anna. There are several things that get in the way: his injuries, the residual effects of her abuse, and a rogue werewolf that is terrorizing the neighboring wilderness. Instead of taking the time to get to know Anna in comfort, Charles must brave the snowy mountains to hunt down the killer wolf. And he takes Anna along on the mission. There is much more to the danger than what it seems initially, but I won’t spoil the details. The hunt takes both Anna and Charles to the limits of their capabilities and when all is said and done, the entire pack is threatened. The villain arc is ok, but the best thing the book has going on for it, is the romance that blossoms between Anna and Charles. Obviously, theirs is not a relationship built on flowers and candy, but on loyalty, devotion, and trust. It’s so refreshing to see an alpha who can still be gentle and careful with the woman he loves. And it’s gratifying to watch Anna dig deep for the strength buried within herself. Another big draw, for fans of the Mercy Thompson series, is a big peek behind the curtain of Bran’s long life. We get several new insights into the enigmatic werewolf leader –and it only makes me burn to know more. A sweet romance, with a healthy dose of action. 4 stars. P.S. You could read this series without reading the “Alpha and Omega” novella first, but I don’t recommend it. I think you’ll feel like you’re missing something if you do. Love this book even more than the novella and I think the relationship is the big deal even over the plot too.